Wash & Pressure cook dals with little turmeric powder and keep aside. Heat ghee in a kadai ,add jeera and allow it to splutter. Add chopped green chilly and onion and fry for few minutes. Add chopped tomatoes and ginger-ginger paste and fry. Now add red chilly powder,garam masala powder, salt & mix well. Add cooked dal and allow it to cook for a while. Such a comforting dal fry, i'll happily have this dal simply with lemon pickle. 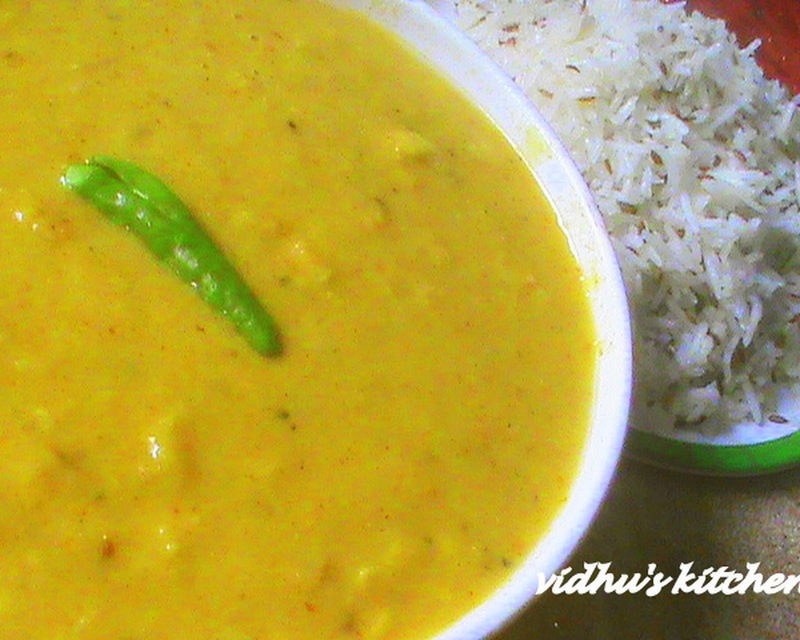 simple and easy dal. I have this almost every day. Such a simple and yummy dal.